BI Member Buys Speaker Starz Bear! For more information about the bear, and the move that is her PSI, check out Spikefan2004′s thread here. December 13th Giveaways! Get a Violin Move and a Christmas Countdown Poster! If you haven’t already done so, make sure to stop by and visit Pawlette in the Fashion District today! She is giving out a Violin move in honor of Violin Day. Also, make sure to stop by and visit Bearemy in the Town Square to get a “Countdown to Christmas” poster to hang in your Cub Condo. It’s hard to believe the holidays are right around the corner! Special thanks to StephanieSparkle for letting us know about these giveaways! Visit the Pawforming Arts Center to Receive a Tambourine Move! If you haven’t already done so, make sure to stop by the Pawforming Arts Center to pick up a new Tambourine move! The move is given out right when you enter the center. 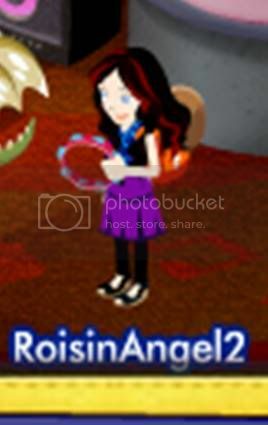 Thanks to roisinbear1 for letting us all know about it! New Snow Globe Room Available for Ski Lodge Owners! If you are one of the lucky Ski Lodge Home owners in Bearville, make sure to stop by Bearville Outfitters and check out the new Snow Globe room that is available now for three credits! It literally looks like a snowglobe with tons of rounded windows. Very cool for the winter season! Thanks to MeghanMusicLuvr28 for bringing this to our attention. 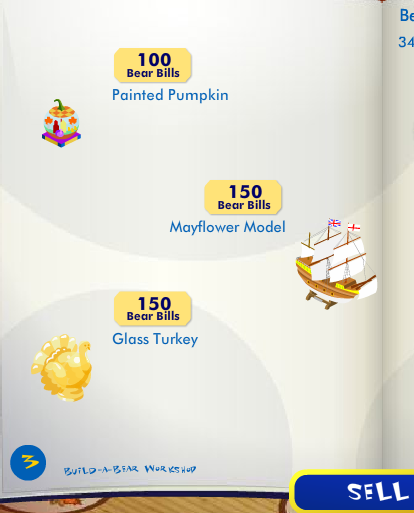 New Holiday Furniture Available for Jr Cybearguides! 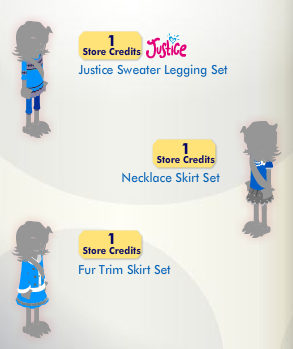 Thanks to member GabyPerfectPaw for letting us all know there are some new furniture items available for purchase by Jr. Cybearguides at the Jr. Cybearguide store! 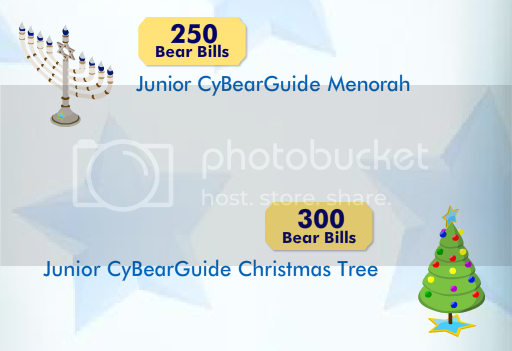 The Jr Cybearguide Menorrah and Jr Cybearguide Christmas Tree are now available for 250 and 300 bear bills, respectively. Here is a photo of the items. New Bearville Insider Winter Banner Contest! Win a Virtual Bear or Elf Code! The staff here at Bearville Insider is pleased to bring you another contest! This contest is a Winter Banner contest, and one lucky winner will receive a virtual bear of their choice. All entrants will be placed in a random drawing to win a virtual Elf code (from Winter 2009), so be sure to get your entries in before the December 15th deadline! Visit THIS thread in the contest section of the forum for more details! We would also like to wish all of our friends in the United States a safe and happy Thanksgiving holiday! 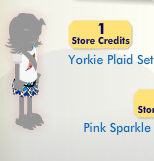 New Holiday Clothing Available at Bearville Outfitters! 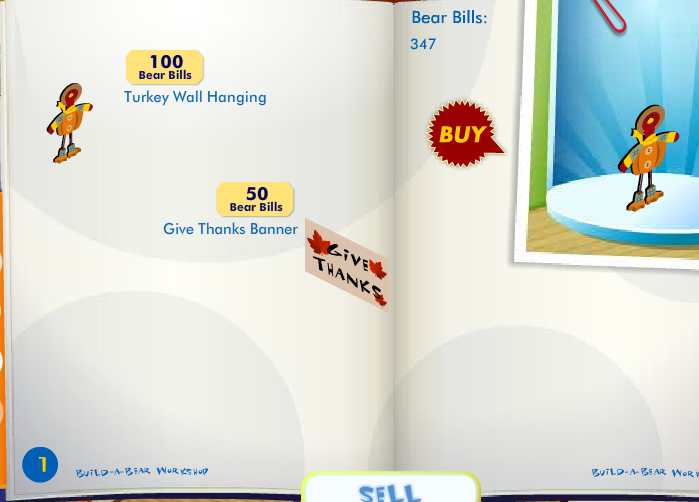 It looks like all the stores in Bearville are stocking up for the Holidays! Now Bearville Outfitters has gotten into the spirit by offering some new Holiday clothing pieces. Thank you to member tweety for bringing this to our attention and to member abbibee258 for providing the photos shown below. Store Fur All Seasons Thanksgiving Items! If you have not already done so, be sure to head over to the Store Fur All Seasons to check out the Thanksgiving items that are now available for purchase. 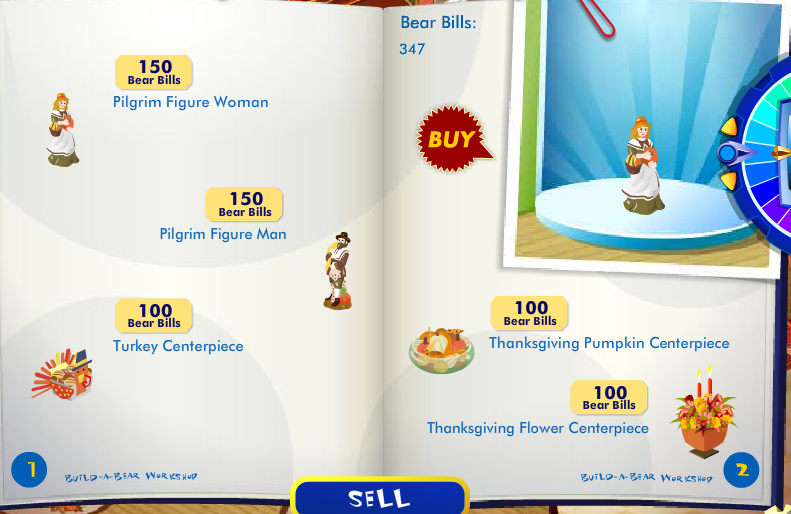 Items include Pilgrim Figures, a variety of Centerpieces and a number of other Thanksgiving themed items shown below. Thanks to Snewdles for making us aware of this! Thank you to member Abbygailbeardiva59 for letting us know that Maxine’s November Gift is the Bear Head Earmuffs. They look super cute when you are wearing them too so be sure to track Maxine down this month to get yours! New Phone Talking Emote from BuildABear Iphone App! Thank you to member matadventure72 for letting us know about the brand new emote that comes with the BuildABear iPhone app! The emote shows your character talking on the phone. To get your own emote, have somebody with an iPhone download the app and the code will be revealed!